As is common across many countries in Southeast Asia, both men and women are involved in Laos’ fisheries sector, with women playing a key role in the processing and marketing of fish. In Laos, many women are also heavily involved in managing fish ponds and aquaculture projects. 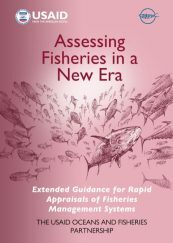 It is reported that fisheries production constitutes 3% of the Lao GDP; and it is estimated that women contribute one half of this figure. 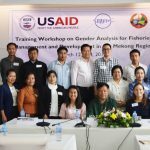 Recognizing the importance of gender roles and equity in the fisheries sector, in early 2018 the Laos Department of Livestock and Fisheries (DLF) requested support from USAID Oceans to conduct a National Training Workshop on Gender Mainstreaming in Livestock and Fisheries Management and Development. 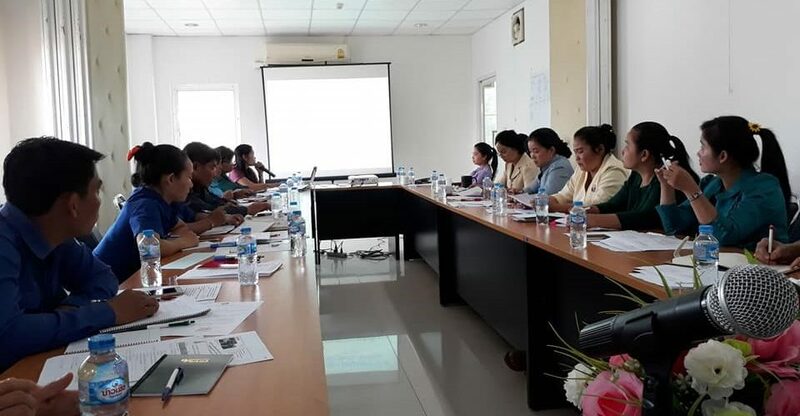 The workshop was designed to support DLF’s vision for increased gender sensitivity in fisheries activities, an area whereby the department aspires to develop and enhance its technical resources and expertise. The DLF invited Dr. Arlene Nietes Satapornvanit, USAID Oceans’ Human Welfare and Gender Specialist, and Ms. Jariya Sornkliang, SEAFDEC’s Fisheries Management Scientist and Gender Focal Person, to participate as technical experts in the National Training Workshop, organized by DLF, in Vientiane, Lao PDR, from March 12-14, 2018. 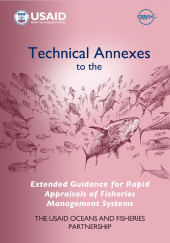 The main objective of this workshop was to provide an understanding and knowledge in the concepts underpinning gender mainstreaming in fisheries management and development, and to exchange experiences and lessons learned. At the workshop, the USAID Oceans and SEAFDEC gender specialists provided technical support for the implementation of the DLF’s gender strategies and shared USAID Oceans’ experiences in implementing gender strategies at the program’s learning sites in Bitung, Indonesia and General Santos City, Philippines. The training was attended by 23 technical and administrative personnel and officers of the DLF, three of which were men and 20 were women. The event was officially opened by Mr. Bounthong Saphakdy, Deputy Director General of the DLF. Prior to the training, Ms. Dongdavanh Sibounthong, the DLF Gender Specialist, who is also a member of USAID Oceans Technical Working Group, discussed and worked closely on the training program agenda design and activities with USAID Oceans and SEAFDEC’s gender specialists. At the workshop, group exercises and discussions were facilitated to enable participants to transfer their learning in earlier sessions to practice, particularly to identify the current status of gender roles and relations in livestock and fisheries stakeholders with examples from their own contexts on gender integration efforts and issues. The exercises helped participants to understand and perceive various situations through a gender lens. Participants showed great enthusiasm at the workshop and were eager to apply the learning to their work, particularly with regards to Laos’ National Strategy on Gender Mainstreaming in Livestock and Fisheries. On March 14, the last day of the workshop, DLF hosted a field visit to Nam Hum Reservoir (est. 1985) in Vientiane for SEAFDEC and USAID Oceans representatives to observe and learn from a fishing community where both women and men are active in fishing activities. The closing ceremony of the workshop was graced by Mr. Somphanh Chanpengxay, Director General of DLF and SEAFDEC Council Director for Lao PDR. 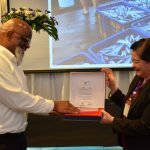 Mr. Chanpengxay expressed his gratitude to SEAFDEC and USAID Oceans for the valuable insights on the integration of gender in fisheries management. 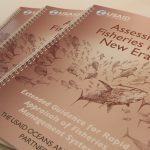 Looking forward, USAID Oceans and its TWG partners are continuing to work together to apply USAID Oceans’ lessons learned in not only areas of human welfare and gender, but also in electronic catch documentation and traceability and fisheries management.